The last work I did that for was “WALL-E” because of its unique and captivating premise and the fact it was made by Pixar, whose films I’m always excited to see. Not only did the film meet my expectations, but it immensely surpassed them and became a gem of filmmaking. Since that point, I’ve tried to find films that get me interested like “WALL-E” did, but that has yet to happen. 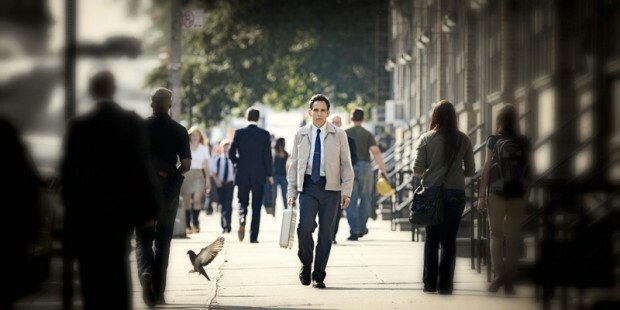 Until the initial trailer of “The Secret Life Of Walter Mitty” came out. It may seem odd, especially since this film came out around the same time as a new David O. Russell and Martin Scorcese movie, but “The Secret Life Of Walter Mitty” was the film that I was most excited to see in 2013. The trailer did its job of bringing me in without even really trying. There was very little dialogue and presented the basic premise of the film through visuals alone. Not to mention its main character, who seemed to leap out of the trailer, with a personality that felt all too relatable. Unfortunately, the film tends to stray from its unique premise and quickly enters the realm of mundane and average. 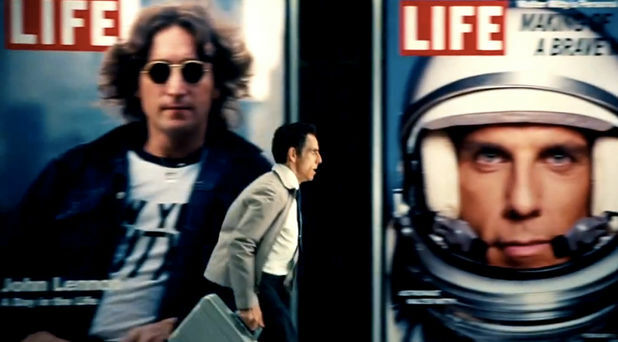 Walter Mitty (Ben Stiller), a normal-every day kind of guy with a normal-every day job of “negative asset manager” at Life Magazine, is given the task of finding the perfect picture for the cover of Life’s final issue. He is given a slate of photo negatives from a Sean O’Connell (Sean Penn), an adventurous photographer and one of the best in the business, but can’t seem to find the “quintessence of life” photograph that Sean spoke of. Walter contemplates going to see Sean in person, but realizes that he is halfway around the world. After his imagination runs wild and a discussion with a woman that he’s interested in (played by Kristen Wiig), Walter is persuaded to go out into the world and let life guide him, instead of his imagination. There were multiple aspects to the film that worked, mostly revolving around the scenes done in Walter’s imagination and the cinematography. The film makes it rather clear when we are in Walter’s imagination, but not by a specific filter or emitting a certain noise, but by seeing the reactions of those around him. Those scenes also convey a wide range of emotions, from the touching moment of Wiig’s character singing “Ground Control to Major Tom,” to an action-packed scene between Walter and his boss (Adam Scott) fighting over his Stretch-Armstrong, to the hilarious sequence of Walter contracting the same disease as Benjamin Button and growing old with Wiig. The cinematography never fails to impress, with a wide range of distinct locations. Walter travels from the busy city of New York to the almost alien looking Greenland and Iceland. These scenes are made all the more beautiful when the audience gets the time to notice them through Walter’s eyes. We know that Walter wanted to be travel the world someday but had to put that plan on the back-burner so that he could get a job. These quiet scenes of Walter gazing upon the giant valleys of Iceland speak more than any other scenes. 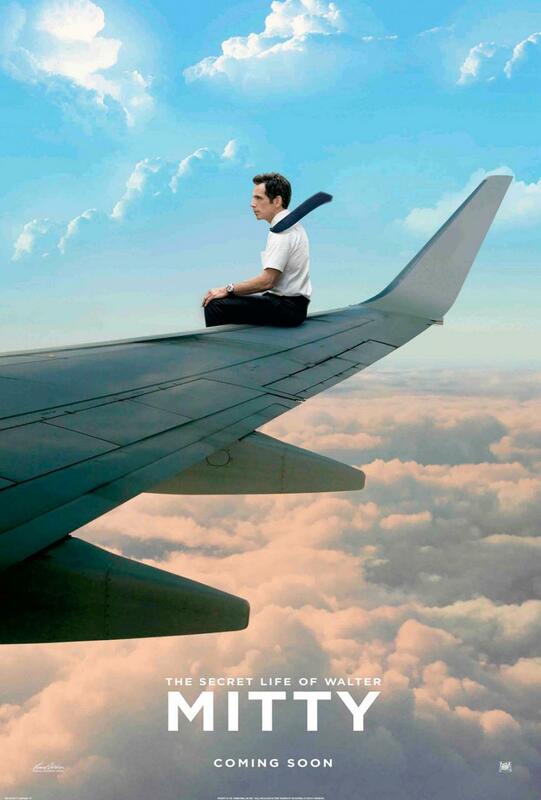 However, the problem with “The Secret Life Of Walter Mitty” lies in its execution of the imaginative scenes. Notice that, in my plot description, I don’t mention Walter’s imagination until the end. The driving force of the film and what sets it apart from any other movie I’ve seen plays a small and insignificant role in the story. You could literally cut out the majority of these scenes and the plot would be unaffected. We hardly even get a reason for why Walter acts this way. There is a backstory involving his father and having to work everyday of his life since he was 17, but it hardly connects with his imagination. We don’t really hear about any of Walter’s big dreams as a kid or if he had always dreamed big, so there are many unanswered questions. The saddest part of “The Secret Life Of Walter Mitty” is that, while the moments in Walter’s head are imaginative and cover the gambit of emotions, everything else feels so lifeless. The story is forgettable, Mitty’s boss as the villain is two-dimensional and just a bully, Wiig’s character has no real charm or wit and even Walter as a character doesn’t have any definable characteristics other than his daydreams. I feel like the problem is that there is just too much going on. There are so many plot threads that feel so arbitrary, such as Walter’s eHarmony profile or that Wiig’s character has a kid who is interested in skateboarding. These are not just plot points that add little to the film, but they take away from the more impressive and awe-inspiring scenes. Couldn’t this have just been a film about a guy with an overactive imagination? Overall, “The Secret Life Of Walter Mitty” left a bad taste in my mouth. There was so much potential for greatness and the film even had a few wonderful moments with its cinematography and daydreams. But it seems like the film got bogged down in being more complicated and sophisticated than it needed to be and along the way the film lost its vision and direction. 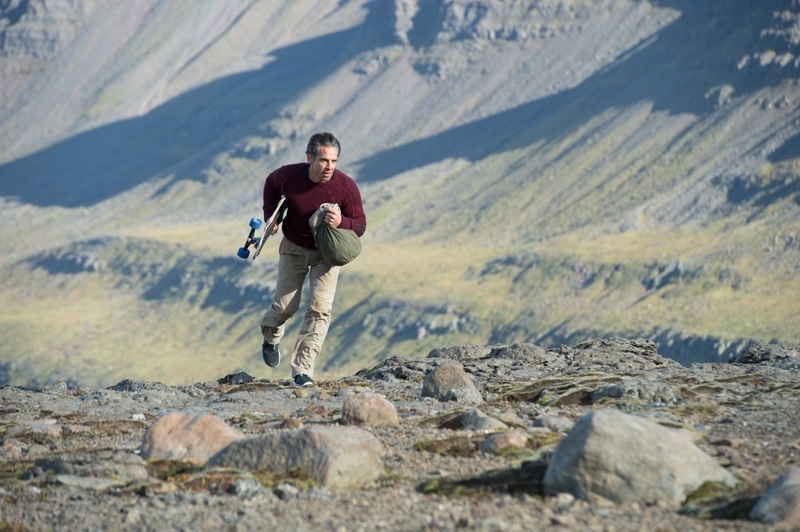 If you want to see some beautiful shots and sequences in far-off places like Iceland, the Himalayas and Greenland and see some interesting dream sequences along the way, then give “The Secret Life Of Walter Mitty” a shot. If you’re looking for a story about a man overcoming his fears and realizing his passion for life, don’t expect to find it here.